I find art to be transcendental; always a step above human drama. In a way it assuages the drama I find myself exposed to. As a writer, I don’t enjoy creative processes turning into therapy sessions either. But it is inescapable. I succumb to it like a dead leaf does to leaving its tree-house in a storm. The difference being that vanity doesn’t follow torment as far as the leaf is concerned. It’s one of the reasons why I fear writing a novel. I would feel nauseous if I realized it was merely a bonfire of my vanities. It isn’t as though these blog posts are purely intended to educate or enthrall you. Besides a personal agenda, my vanity is on display here too. I don’t feel bogged down by it. And I credit this to the birds and the love they seem to populate my life, and whatever time you spend here, with. So I am thrilled to tell you that birding season has begun on this blog again. Given the slump for the past few months, this is exciting news for me. Hopefully it will be for you too. Professional birders will tell you that the season is still about a month and a half away in this part of the world. And they aren’t lying. November is when things really pick up. However the past week has been amazing. 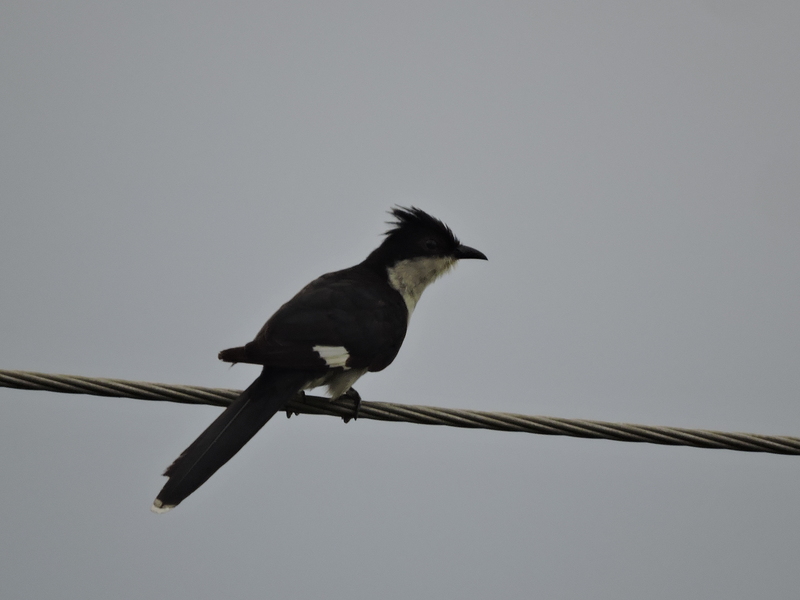 I went birding at Pulicat Lake, Chembarambakkam, Siruthavur and the East Coast Road. I discovered love in portions and colours that I haven’t since earlier this year. I was privy to a lover’s quarrel between two Spotted Munias. A Shikra gave me the middle-finger. 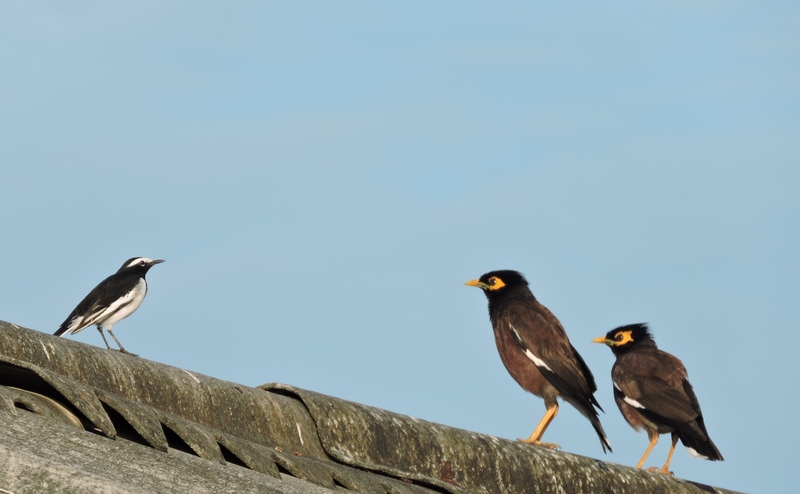 Two Common Mynahs had a cowboy movie standoff with a White-Browed Wagtail. A White-Eyed Buzzard shared a sunrise with me. I was seduced by Black Winged Stilts too; the things they can do with their legs, honestly. 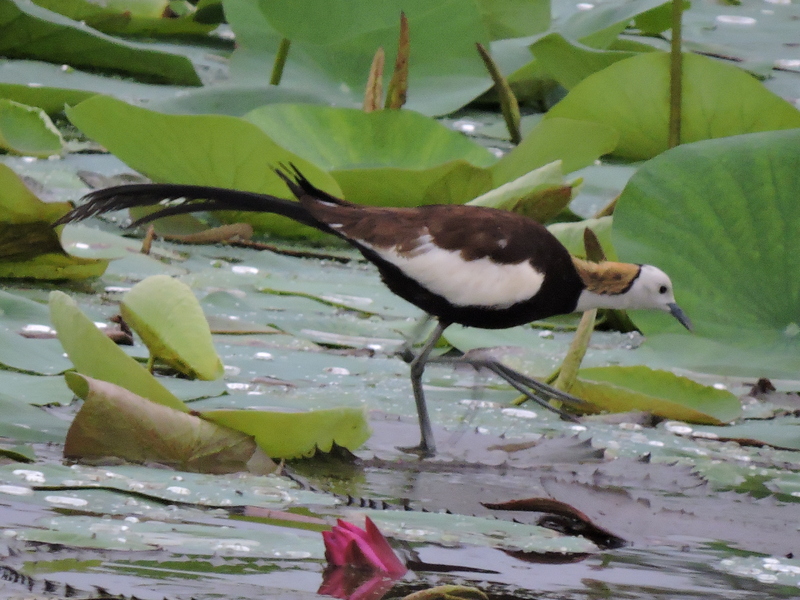 The highlight was a first-time encounter I had with a gorgeous lily trotter – the Pheasant-Tailed Jacana; a lot more on her later this week. I have often wondered how my own trivial pursuit of art might be if it were bereft of drama. If I kept aside human sentiments while describing the art of birding. Would it still be an exercise in vanity? Would it find reason in abstractness? Would I care about what I have to say anymore? Would you? And yeah drama is the elixir of communication, I wouldn’t know what I would do without it, truth be told! This is a beautiful display. How fortunate you are to be so close to them. Thank you. How fortunate are we all to be close to so many of them. You set an intimate table of passion fruits and delicious dreams. Such a joy to feast with you. Beautiful poem. What a scrumptious compliment, thank you so much Tio! We are getting the first migratory birds even as we speak and as my wonder at your cuckoos and stilts increases from afar. 🙂 Also, your title is fantastic. Wonderful to hear that, the more the cherrier! Can’t wait to see updates from your side of the world. Happy start to your birding season!!! Wow, you have such exotic birds out there. Lovely photos and nice words. I look forward to reading more. Thank you so much, I am humbled you think that! Thanks A & I, much appreciated! Love your blog.